The one thing I am fascinated about with HBO’s Westworld is its use of piano ballad cover songs. Sure the mystery of the world and the sci-fi elements have their intrigue, but the music and how it’s woven into the narrative is much more fun to figure out and break down. So when you hear something like Nirvana’s “Heart-Shaped Box” play in the newest trailer for the upcoming second season, you have to wonder, why did they use that song. Check out the latest trailer for Westworld season 2, below. 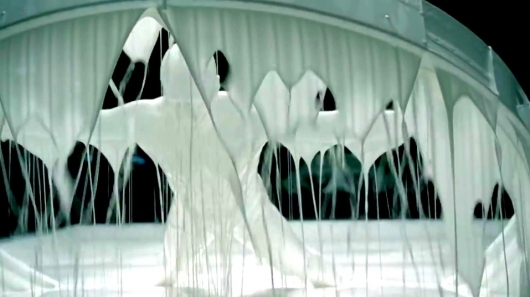 In this special edition of the Violent Delights podcast, Andy, Dwayne, and Tosin breakdown the Super Bowl ad for Season 2 of HBO’s Westworld, shot-by-shot, and details watchful fans have noticed online hinting at the upcoming season. Watch the trailer just below, and then listen to the podcast episode at the bottom of this post. In this special edition of the Violent Delights podcast, Andy, Dwayne, and Tosin breakdown the San Diego Comic-Con trailer for HBO’s Westworld Season 2, shot-by-shot, and what it reveals for the upcoming season. 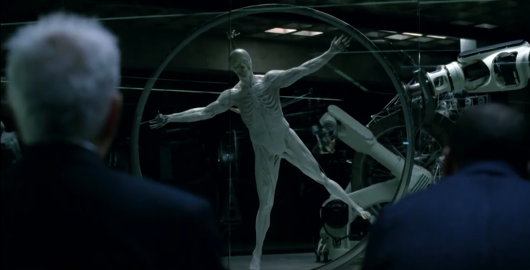 It’s still hard to imagine that we won’t be getting Season 2 of HBO’s Westworld this year. As disappointing as that sounds, Season 2 will premiere sometime in 2018. And though the show is currently in production, the cast and crew of Westworld were at SDCC this weekend to “talk” about what they’ve been up to. They even had some new footage to show in a new trailer. Check it out here below. 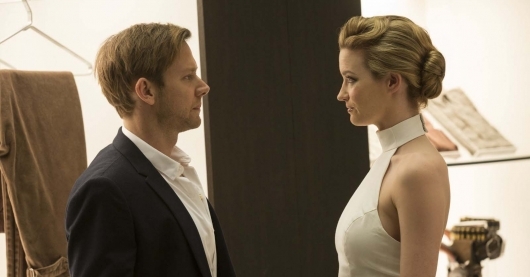 A pair of guests, first-timer William (Jimmi Simpson) and repeat visitor Logan (Ben Barnes), arrive at Westworld with different expectations and agendas. Bernard (Jeffrey Wright) and Quality Assurance head Theresa Cullen (Sidse Babett Knudsen) debate whether a recent host anomaly is contagious. Meanwhile, behavior engineer Elsie Hughes (Shannon Woodward) tweaks the emotions of Maeve (Thandie Newton), a madam in Sweetwater’s brothel, in order to avoid a recall. Cocky programmer Lee Sizemore (Simon Quarterman) pitches his latest narrative to the team, but Dr. Ford (Anthony Hopkins) has other ideas. The Man in Black (Ed Harris) conscripts a condemned man, Lawrence (Clifton Collins, Jr.), to help him uncover Westworld’s deepest secrets. The series premiere of Westworld is less than a week away now already. HBO has released a new video titled “Welcome to Westworld,” in which cast and crew including creators, showrunners, and executive producers Jonathan Nolan and Lisa Joy, executive producer J.J. Abrams, and stars Evan Rachel Wood, Thandie Newton, and James Marsden discuss the show. Westworld is set in a future where we’ve gone beyond virtual reality and a place exists where people can live out their every fantasy in the real world. This is made possible by robots—called Hosts in the series—who look, feel, and even think like real human beings. In addition to the video, a brief new promo has also been released which focuses on the characters Maeve (Newton) and Dolores (Wood). Both of these videos can be viewed below. There are only a few short weeks left until HBO debuts the highly anticipated Westworld. With Game of Thrones now coming to an end, and with shorter seasons, the network is looking to fill that void with another exciting new genre series. 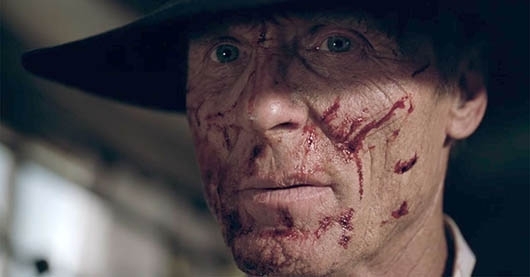 And based on the previous trailers, it looks like Westworld may be just that. But before those doors open, we are getting yet another trailer that will do more than just whet our appetite. Check out the new trailer below. Last night to coincide with the season finale of The Night Of, HBO released the latest trailer for the sci-fi drama Westworld from executive producers J.J. Abrams and showrunners Jonathan Nolan and Lisa Joy. Based on the 1973 science fiction western-thriller film written and directed by novelist Michael Crichton, the series is set in the fictional world of Westworld. In Westworld, guests pay to become gunslingers and indulge themselves in all sorts of vices with androids, who rebel against their programming after they become self-aware and realize how they’re being used. Check out the latest trailer here below. 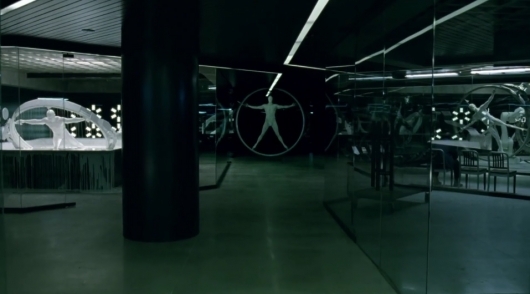 Last summer we got our first peek at Westworld, the new series HBO is hoping will become their next big thing, in the form of a quick 30-second teaser filled with a bunch of intriguing and sometimes unsettling imagery. Now HBO has released the first real trailer for the show. It’s also a teaser, but runs about a minute and a half and shows much more of this oh so very strange world. 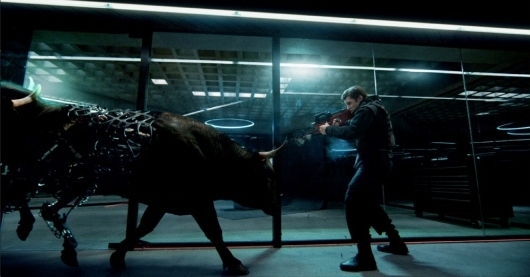 Continue below to read more about Westworld and watch the new trailer. HBO has released the first video preview of their upcoming series Westworld, which is describes as a “dark odyssey about the dawn of artificial consciousness and the future of sin.” It’s only 30 seconds long, but has plenty of quick peeks at footage that will surely excite many fans of HBO’s programming. The series is inspired by the 1973 movie of the same name, which was directed by Jurassic Park author Michael Crichton and starred Yul Brynner, and was set in a theme park filled with robots recreating three different historical periods: the old west, medieval times, and Roman times. When a power surge in the park causes a malfunction, robots begin killing people and two guests find themselves being chased by an android cowboy. You can watch the first teaser video for the new series below.